BWM E60 automatic transmission reset and relearn by using BMW INPA K+DCAN cable. 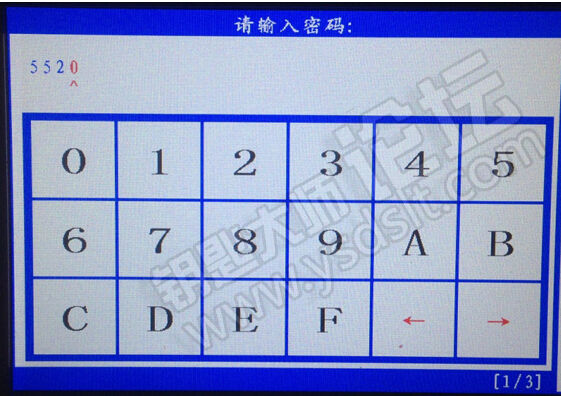 It is a reset method of learning function. 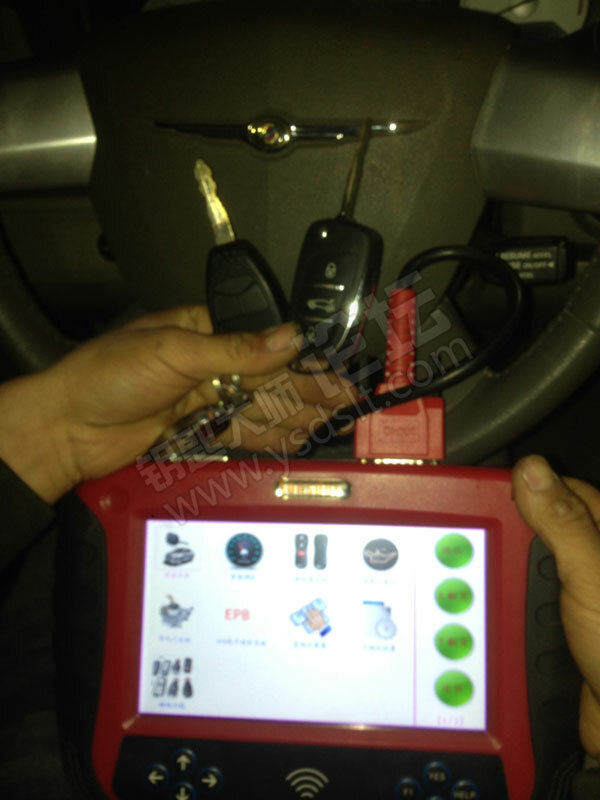 Here’s the guide to use SKP1000 car key programmer to read security pin code and add a straight remote key on a Chrysler Sebring 2008. 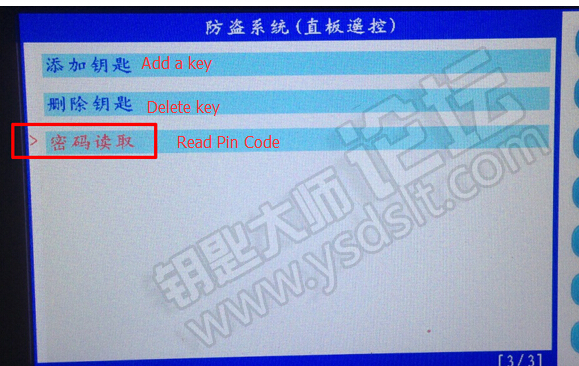 Device to program: SKP1000 tablet auto key programmer. Program success will generate remote automatically. I noticed these on flea bay recently all being sold from china at around $100 to $110. They come with a cracked version of JLR SDD (mine came with version 141) and include all the config files. They are a clone of SPX I VIEW, similar to VCM and as I have had already tried a cloned JLR Mangoose pro lead with a cracked version of JLR SDD with reasonable success, I thought I take a punt on one of these. The packet arrived 6 days after ordering. The box included 4 discs to setup the JLR SDD software and a further disc for the drivers. I set it up on a virtual machine image of Windows XP and to my surprise, installed the software and drivers 1st time with no errors. I plugged in the VXDIAG which was recognized straight away and then started JLR SDD which also recognized the lead. Great start I thought, lets plug it into the car! First time it will not auto read the VIN, I manually entered the VIN which worked, but it then took for ever to get to the main menu screen. I started a diagnostic session and wait about 15 minutes for it to finish scanning the modules. Once finished it could only see 8 out of the 15 or so modules fitted to the car (My cloned JLR Mangoose Pro lead can see 13 out of the 15 modules. But does not have online support). Well, it does work and it still has online support, device driver and firmware updates which is good. I have recently bought a Foxwell NT510 Jaguar Land Rover hand held scanner and it’s quite good. When you buy the scanner it comes with a vehicle specific scanner module that you download, additional cars cost about $100. My scanner download handles all of the Jaguar and Landrover models. It can read generic codes from a vehicle and it can clear generic codes from a vehicle. It can see all the modules, read all the faults of every module and show live data etc. It does allows me to activate the Wabco modulator to bleed the ABS and do a power bleed. It has a live data menu that allows you to select and plot data on the screen as you drive. I used it for instance to monitor my SVS fault to indicate whether or not the SVS switches are being detected when I depress the brake. You can get them from china with free shipping to the U.S.A for around $155. My neighbor borrowed the N510 on troubleshooting his Land rover. It does not have any programming functions for our XK8’s or XKR’s but seems to be able to program many things on my neighbor’s Land Rover Discovery! Its fast, convenient to use and can even show live data in a graph mode. It can see all the modules (although it can’t communicate with my L/H headlight, however nothing else can either). I first used it in anger last month to monitor the transmission fluid temperature when changing the old oil. It’s not able to program our modules (although it can on Land Rovers) or keys etc. If you need something just for reading and clearing codes from all the modules and diagnosis from live data, this seems to fit the bill. I just found out that at extra cost, you can download four further different marques onto it making it handy for a semi professional. The only problem was on a couple of modules, it cant clear the faults and before you all ask, yes I have more money than sense ! The Foxwell NT510 is more than adequate for most home mechanics. The correct tool (mongoose lead) to use is made by Drew Industries in the USA and retails for around $500 – $600. You the need to download the latest JLR SDD software but the catch is you need to have a very expensive subscription to Topix to get the necessary config files. This is basically what main dealers use. To get round this, clone JLR Mangoose SDD leads are readily available for around $50 and to avoid subscription problems, use an older version of JLR SDD that comes with all the necessary config files built in, no downloads needed. Now the fun begins and gets complicated. I set up a windows XP virtual image on my modern Dell laptop and although JLR SDD installed fine, it could not see the cloned mongoose lead when plugged in. After much frustration, head scratching and Googling, the problem seemed to be related to USB 3 ports on my laptop that’s not compatible with Windows XP. If you’re still with me this far, I used my old, antique Toshiba laptop running XP, installed the software and the lead connected with no problems. You have to put the laptops date back to 2012 or else it will come up with an error saying your files are out of date. Also your internet needs to be off to stop anything trying to update itself. You can do nearly everything a dealer can do except programming keys (as far as I’m aware). It will let you reset the transmission adaptations and even turn on and off dealer options such as chirping when locking and unlocking. I turned off the break window sensor as every time the weather turns stormy, the alarm goes off. A big word of advise is DO NOT TRY TO RE-PROGRAM MODULES !!!!! On your head be it! 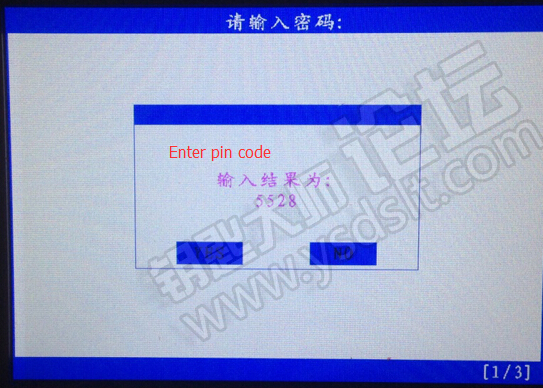 Also the JLR SDD software is not very user friendly, it takes awhile to learn how to use. I bought this scanner as I had some warning messages on my Jaguar XKR (Air Suspension Fault, Park Brake Fault, Lights not on). While it will clear diagnostic codes, it is not capable of clearing the fault messages on my automobile. It scans 15 out of 15 modules , then It wont read most modules and if it does read any it wont erase codes off any thing ! It works on some, but not all of the available modules. I will not recommend this lead. (09/18/2017) Toyota Techstream V12.20.024 is tested without issues on Windows 7 operation system and verified to work like a charm. Test result: Toyota Techstream 12.20.024 is tested successfully!! 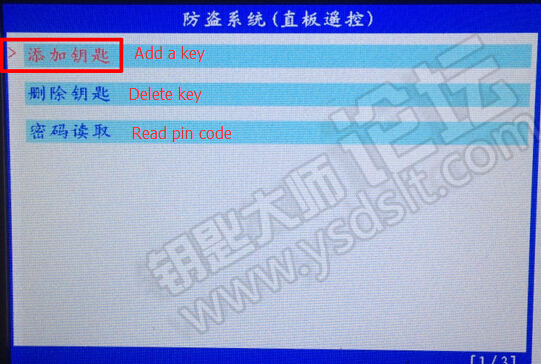 with Vxdiag vcx nano Toyota, you can not only have customization but do programming via WIFI. 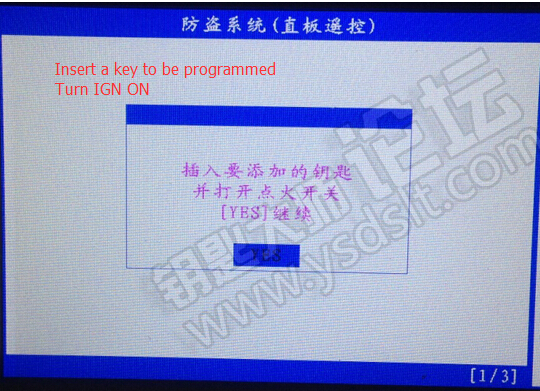 (09/13/2017) Version 1.95 is the latest firmware of op com diagnostic tool. It works much more stable than opcom fw 1.70 and opcom fw 1.65. Acid_Tin. Operational Command (OPCOM): The authority granted to a commander to assign missions or tasks to subordinate commanders, to deploy units, to reassign forces, and to retain or delegate operational and/or tactical control as may be deemed necessary. op-com is an opel diagnostic tool used for reading and clearing fault codes, reading live data, performing output tests, etc. for almost all Opel cars, even new cars with CAN-BUS based diagnostic, such as Vectra-C, Astra-H,Zafira-B. 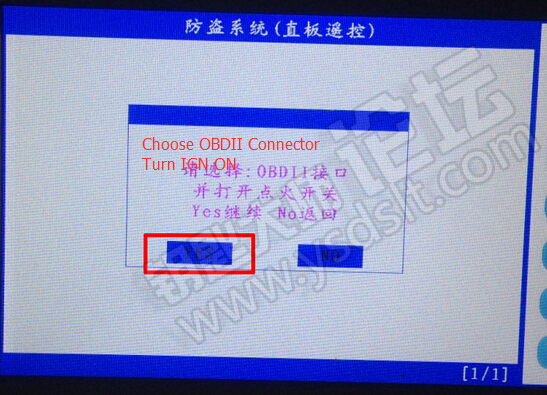 OP-COM diagnostic tool– avoid garbage!!! Although this is a brilliant bit of kit for all Vauxhalls. BE WARNED, this wont work properly for Corsa C as you will get continuous looping (Okay for all other Vauxhalls cars though). Sellers are selling these with a 1.44 or 1.45 Firmware and saying its the latest. Yes that Firmware is the latest but the Software that comes with it has not been updated for that Firmware when its used on the Corsa C. The only way round this is to get the 1.39 Firmware (which is actually the best available) and flash the interface so that its running on 1.39 Firmware. Not for the fainthearted though as doing it wrong will damage the interface. If you have a Corsa C then look for Opcom with 1.39 Firmware. If you have any other car in the Vauxhall range then any of the Firmwares will work perfectly. Its just Firmware 1.44 or 1.45 that will not work as it should with the Corsa C.
Its amazing software and pretty much on par with the dealership tech 2 system, opcom can program new key remotes + the key immobiliser transponders, new instrument clusters, ecus, airbags, abs and body control modules, there isnt a lot it cant do. Recently used it to track down an EGR fault on my combo, the live data and record feature makes it easy to trace problems mine turned out to be sticking by what the figures where showing, I would of been playing parts darts with out this software as I had no fault codes, I cant praise it enough money well spent and saved at the same time….from staying away from the dealership as this is where they make thier money. The scanner worked fine on my 1997 Omega which other scanners failed to do. It showed me exactly what was wrong and I replaced the part it said and the car now works fine with no fault codes. I would recommend it for the older Vauxhalls as well as newer ones. However, This unit does not read the codes on the Frontera 3.2. 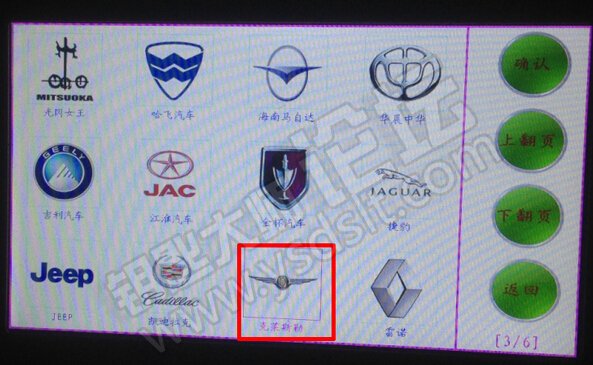 Apparently it is regarded as an Isuzu by Op-Com so they did not include the software for it. I have an old dell laptop running windows vista. Popped the disk in and installed the software. Plugged the USB in and the tool into the car and asked for drivers which were also on the disk so clicked to install and within 5 minutes was up and running reading and clearing fault codes from my 2008 Zafira 1.9 cdi (150). I guess you would not be buying this if you were not inclined to get your hands dirty and fiddle a bit but it was a lot easier to use then I thought. I would highly recommend. I will never have to pay a mechanic again to clear these pesky codes !! Saved me a bucket load of cash on its first use and ell continue to save me a bucket load f cash each time my Omega puts an orange light on the dash. Delivered in 24 hrs. Did NOT like the sticky label on the CD. My CD drive instructions say “never play anything with sticky label on” so I had to remove it, which was very difficult and left a layer of sticky glue on the surface. Why didn’t you put the label on the CD sleeve? I have wiped most of the glue off now with meths, the laptop CD drive reads it but not the desktop pc, but my desktop drive may be faulty. Having said that everything worked and NJ Diagnostics very kindly offered me a replacement CD anyway. It took about 40 mins to transfer CD on to my laptop, maybe because of the glue. I didn’t install straight from the CD but copied from CD to laptop desktop ( I mean the desktop of the laptop, after all these years I have just realised the ambiguity). Then I ran the .exe file from the desktop. There are 5 file/folders plus the read me file. A small video with install instructions. USE IT!. First disable your antivirus and firewall. Copy 5 folders to pc desktop. The video guides folder is huge, over half a Gb and very blurry. You can do without it, if you can get as far as running the software and talking to the interface then you are clever enough go ahead without this guide. But DO watch the small video. Go carefully. The drivers file is used by the program during installation but when you load the drivers yourself you will load them from “program files” as explained. Double click the .exe and follow the short video. A small cheesy installation window opens up where you choose 32 or 64 bit and your language. When you get to the end of the installation and have lights on the black interface and have done the software test, close the program, leave “Windows” on, take your laptop with the attached interface to your car, plug in the interface to the socket in the car, (under the flap under the handbrake in my Astra), turn on the ignition, probably no need to start the engine, run the program, select your vehicle the same as you did when you followed the short video, double click on each item for year and model, select the engine type, and the program should now spring in to action and recognise your car. If you are working on airbags, remember that they are not in the Engine section, you don’t need that at all, they are in the “Body” section. Note the fault codes and clear them. The airbag light doesn’t go out immediately, but I looked after a few seconds and it had gone out. I don’t know what I did at the time, maybe there is just the delay, or maybe it was because I closed a window. I thought I might have to turn everything off and turn on thre ignition again but I didn’t, the light went our while everything was still on. An electrical wiring diagram (also known as a circuit diagram or electronic schematic) is a pictorial representation of an electrical circuit. It shows the different components of the circuit as simplified and standard pictograms, and the power and signal connections (buses) between the devices. Arrangement of the components and interconnections on the diagram does not usually correspond to their physical locations in the finished device. vehicle wiring diagrams includes wiring diagrams for cars and wiring diagrams for trucks. Provide the whole view of the wiring diagram in a car,component location diagram and maintenance method. What you do is to enter the chassis number, and then you will get the manufacture data, engine configuration and the car model -all in detail. To do this at your disposal a variety of search functions, such as searching by name, by part number, etc. In addition, the system offers detailed information on specific details, as well as the ability to create so-called parts list of found parts. 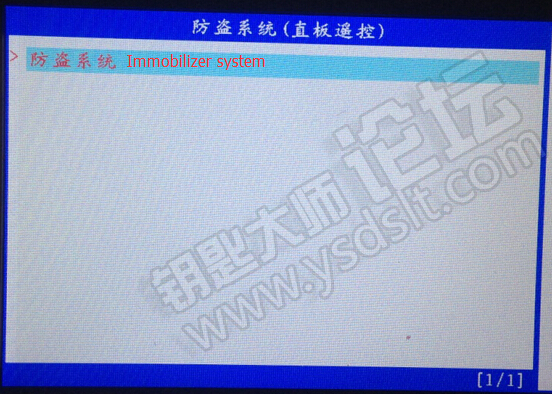 Microcat Electronic Parts Selling System for Land Rover, the newest version is 2013.07, supports multi-vehicles. It includes the information for all kinds of land rover series and for different years. Hitachi parts catalogue 2013 is for heavy construction machines, parts catalog for Hitachi equipment, equipment types covered by Hitachi HOP 2013. The parts catalog MAN MANTIS contains the complete information about spare parts for trucks, buses and various chassis of special assignment, and also about engines MAN. This catalog includes a lot of pictures, illustrations with detailed description of equipment components. This program works with the dealer diagnostic scanner Caterpillar Communication Adapter, as well as other adapters for diagnostics including scanner Nexiq, the program provides the full information when troubleshooting. When you purchase a program Cat ET (Caterpillar ET) 2017A once you get detailed and clear instructions on how to activate it. Wiring diagrams and road maps have much in common. Road maps illustrate how to get from point “A” to point “B.” However, instead of connecting interstates, highways and roads, a wiring diagram shows major electrical systems, sub-systems and individual circuits, all inter-connected. Another feature they have in common are layers of detail. For example, if you look at a road map of California, you won’t be able to locate a street address in Los Angeles. You might find a city or town, but you won’t find a specific address. In order to find the exact location of a particular residence or building, you would need a detailed street map or go online and use Google Maps or the GPS feature on a smartphone. While this wiring diagram for a 1979 Ford Mustang is dated, the skills required for using it to diagnose an electrical problem are no different than when viewing an online diagram from a late-model automobile. Unfortunately, there are no instructions as to how to actually read, and/or interpret most wiring diagrams whether in print, on a DVD or online. The same is true (to a lesser extent) of wiring diagrams. Vehicles made before the 1970s usually had their wiring diagrams contained on one, or two pages in a service manual. By the 1980s the complexity of automotive, on-board electronics changed and most vehicle manuals had multiple pages of wiring diagrams to show all of a vehicle’s electrical system. In the 1990s printed service manuals started to disappear and now manuals, and wiring diagrams are found on digital media or online. There is one aspect of wiring diagrams that has unfortunately remained constant. They lack directions regarding how to actually read them. Similar to a map, wiring diagrams will have a legend where symbols and naming conventions are spelled out but no “how-to” instructions. While online automotive service manuals are written with the “professional” technician in mind, every technician had to learn to read and interpret wiring diagrams at some point in their career. The design and layout of wiring diagrams do not accommodate intermediate, or entry-level technicians by starting with easy-to-understand circuits that become progressively more difficult to read and understand. This article will take a different approach and begin with simple circuits and wiring diagrams, then move on to diagrams with more complexity. This step-by-step process not only makes learning to read a wiring diagram less painful, it promotes a greater understanding of how electrical circuits operate. Becoming more proficient at anything, including reading wiring diagrams, involves practice and there are some challenging questions included for that purpose as well. A light bulb powered by a battery illustrates the 3-Things that all 12-volt electrical circuits must have to operate — Power, a Load Device and Ground Return. While this may seem obvious, locating the 3-Things, plus whatever controls the circuit, on a wiring diagram that spans many pages is not a simple process. The simplified wiring diagram of the battery, light bulb and wires is easy to understand. However, if this same circuit was more complicated and included several relays, multiple power sources and a computer controlling the entire circuit, the resulting wiring diagram would be far more challenging to read. A quick review of basic electrical circuits will make understanding how they are depicted in a wiring diagram easier to understand. Every electrical circuit on an automobile has to have 3 things to operate: 1) a power source, 2) load device, and 3) a ground return. The charging system and battery function as power sources and are extended throughout the entire car by way of numerous wires. Load devices are simply anything that does electrical work and can include lighting, starter motor, on-board computers, relays, power windows, keyless entry and many other components. The ground return completes the electrical path from the battery positive terminal, to the load device and back to the battery negative terminal. If any of the 3 things are missing, the circuit won’t operate and wiring diagrams provides a “map” to assist in determining which of the three is not present. In addition to the 3 things, load devices must be controlled. Some load devices are switched on or off by controlling their power source, while others are controlled by switching the ground returns on or off. The most common scenario is using a vehicle’s electronic control unit, or ECU, to ground relays that in turn control load devices. The process of figuring out how a load device is controlled and its power and ground sources can be determined by using a wiring diagram. To learn a logical process for reading complex wiring diagrams we’ll start out with a simple fog light circuit. Figure 1 is not typical of wiring diagrams found in a service manual. The fog lights circuit is shown in both ON and OFF states and uses colored lines to illustrate the presence of power. The green, dashed line shows how electricity travels back to the battery’s negative terminal after providing power for the fog lights. Figure 1 is a simple wiring diagram showing a fog lighting circuit. The circuit consists of a battery, 20-amp fuse (used to protect the circuit), a switch (located on a dash panel), and two fog lights. Ground returns are shown by the ground symbol of a vertical line with three horizontal lines. Not all wiring diagrams show ground wires and it is assumed the ground symbols indicate wires that are connected to the negative battery terminal. This diagram is unusual in that the presence of 12 volts is illustrated with the circuit in both ON and OFF states. Red lines indicate the presence of 12 volts and black lines represent the ground side of the circuit that connects to the battery’s negative terminal. In the circuit OFF part of the diagram, 12 volts is shown to be present from the battery, through the fuse and to the open dash switch. The lower part of the diagram shows the dash switch closed, connecting the battery to the lights and turning them on. It also illustrates one aspect of Kirschoff’s Law that the load device(s) will use all the power (12 volts) in the circuit as the voltage at the negative battery terminal, and on the ground side of the fog lights, is close to 0.0 volts. Unfortunately, actual wiring diagrams do not provide any of these advantages and late model automobile diagrams may not isolate circuits to this extent — more likely they will be part of the overall lighting system. Color, if used at all in a wiring diagram, is for the purpose of identifying individual wire colors, not to indicate power and ground sides of a circuit. In addition, wiring diagrams always default to show a load device in its OFF state and technicians have to imagine the presents of power throughout the circuit with the load turned on and operating. Figure 2 shows that a relay has been added to the fog lights circuit. Instead of using a switch as in Figure 1, a relay now controls the high amperage current that the lights require in order to operate. The dash panel switch is used to energize the relay’s control coil that connects power from the battery to the fog lights through the high-amperage contacts inside the relay. Relays like this one are used in many 12-volt automobile circuits. They are typically controlled by a computer and provide power to various load devices. These relays can have 4 or 5 terminals. The fifth terminal indicates that the relay is a changeover type, with the fifth terminal normally closed (provides power) when the relay is off. Four-terminal relays only provide power when they are switched on. There is an inherent problem with the design of the fog lights circuit as shown in Figure 1. These particular fog lights require high amperage (8 amps each, or 16 amps total) from the battery to operate and this high electrical load has to travel through all the wires and dash panel switch to reach the lights. The wires, and especially the switch, would have to be heavy-duty to handle the high current. A simple solution is the addition of a 12-volt relay as shown in Figure 2. The relay takes the place of the heavy-duty switch and provides the high-amperage connection between the fog lights and the battery. The dash panel switch is still a part of the overall circuit, but now it only has to switch the low-amperage relay control coil (0.3 amps) instead of the high-amperage fog lights. The dash panel switch, and the wires connecting it to the circuit, can be smaller because the relay is connecting the battery to the lights and not the switch. The control coil inside the relay is an electro magnet, and when terminal 4 of the relay is connected to ground by the dash panel switch, the coil is energized and pulls down the high-amperage contacts within the relay connecting terminals 1 and 2. This diagram does shows the circuit in the OFF position and is more typical of a real wiring diagram as the technician has to visualize where power is present in the circuit when the lights are on. While Figure 2 illustrates the basic layout of how a relay is used to operate a high-amperage circuit, it has relevance to modern electronics used in today’s automobiles. Many automotive circuits are controlled by the vehicle’s PCM (power control module) that cannot directly control high current loads. The use of multiple relays solve this problem as the PCM only has to switch the low-amperage relays on and off. Figure 3 shows a more sophisticated fog lights circuit that has the addition of a second relay. The design of this circuit prevents the fog lights from being turned on if the ignition switch is not in the run or accessory positions regardless of the dash panel switch being left on. The wiring diagram depicted in Figure 3 shows how the addition of a second relay to the fog lights circuit improving its functionality. Relay #1 provides power to relay #2, the same relay depicted in the previous diagram. Relay #1 is controlled by the ignition switch and only allows the fog lights to operate when the ignition switch is in the accessory or run positions. If the ignition key is in the lock or off positions, or removed from the ignition switch completely, no power is available at Relay #2. This prevents the fog lights from being left on inadvertently, even if the dash panel switch is left on. This diagram is more typical of wiring diagrams found in a service manual. Wires are identified by their color, but there is no color indicating where power is present; the circuit is shown in its OFF state and the relay terminals are identified by number. The most effective way to learn how to read and use wiring diagrams is to practice. With that in mind, the following three practice questions will test your knowledge and ability read and interpret wiring diagrams. We’ll go through the first two questions together and leave the third one for you to answer. Question 1. This question refer to Figure 3. With the ignition switch in the “Acc” position, and the dash panel switch off, what terminal numbers on relays #1 and #2 will have 12-volts? Figure number three is typical of wiring diagrams found in a service manual. Relays and switches are shown in their “open” position and color is not used to indicate where power or grounds are present. When reading any wiring diagram, start where a known source of power (12-volts) is located, usually at the battery positive terminal. Relay #1, terminal 3, is directly connected to the battery via the 20-amp fuse. Terminal 1 goes to the ignition switch and in the “Accy” position will also have 12-volts (RED wire to the ignition switch and the ORN wire between the switch and relay). Terminal 2 is a constant ground for the relay’s control coil. The relay is ON and terminals 3 is connected to 4 via the high-amperage contacts. This wiring diagram shows the cooling fan circuit for a late model automobile. The circuit has three relays, controlled by the vehicle’s power control module (PCM), that operate the fans in low or high-speed modes. Wires are identified by wire color. Cooling fan relay terminals are also identified with a letter and number. Question 2. Trace the path that provides power and ground to each cooling fan in the high-speed mode. Question 2 uses a wiring diagram that is more complex than the one used for the first question. Figure 4 is a typical automotive wiring diagram that shows a radiator cooling fan circuit. Two fuses (40 and 10 amps) power the circuit and are directly connected to the vehicle’s battery (Hot at All Times). There are three relays that connect power to the cooling fans and control low and high speeds. The relays are controlled by the vehicle’s power control module, or PCM. The diagram also contains notes regarding labeling of components, their physical location and information on what other wiring diagrams are part of the overall circuit. The relay control coils look a little different that those in Figure 3. A resister is shown (zagged line) and is used to prevent voltage spikes from reaching the PCM when the relay is operated. Otherwise the relays work the same as those in Figure 3. NOTE: This circuit operates on 12-volts. However, when the engine is running the operating voltage is 14-volts, or charging voltage provided by the alternator. The three cooling fan relays determine the power and ground paths to the cooling fans. To run both cooling fans in the high-speed mode, the PCM grounds both terminals 42 and 33 (low and high-speed cooling fan relay controls). With PCM terminal number 33 grounded, the DK BLU wire becomes the ground for the cooling fan relay #3’s control coil at terminal B4. This turns the relay on because terminal C6 has power all the time from the 10 am fuse. The RED wire at terminal C4 of the relay is connected to the 40 amp cooling fan fuse and with the relay on connects to terminal B6 within the relay. The WHT wire from the relay (terminal B6) is connected to the right cooling fan and provides power. The right cooling fan has a constant ground on the BLK wire. With 14 volts (engine running) on the WHT wire and a ground on the BLK wire the right cooling fan runs at high-speed. The left cooling fan receives power from the 40a fuse on the RED wire at cooling fan relay #1 (terminal B3). The PCM low speed cooling fan relay control (42) is grounded by the PCM providing a ground at terminal B1 (DK GRN) wire at cooling fan relay #1. On the same relay, terminal C3 gets power from the 10a fuse on the ORN wire. With power at C3 and a ground a B1 the relay operates and connects relay terminals B3 to C1 providing power to the left cooling fan on the LT BLU wire. The GRY wire from the left cooling fan is a ground, but only when cooling fan relay #2 is turned on by the PCM high-speed relay control ground at relay terminal C10 on the DK BLU wire. Relay #2 connects the GRY wire from the left cooling fan to the BLK wire (no terminal number listed). The BLK wire provides the ground for the left cooling fan and it runs at high-speed. We have walked through the answers and analysis to questions 1 and 2. Finding the answer to question 3 is up to you. Question 3. Trace the path that provides power to each cooling fan in the low-speed mode. Identify the wire colors, relays, and relay terminals that are powered during fan operation. Trace the ground return path for the relays and cooling fans—identify the wire colors and relay terminals used in the ground side of the circuit. To understand the low-speed fan operation a quick review of electrical theory will help. In a parallel circuit (the most common type used in automobiles) all load devices operate on system voltage. For example, when the cooling fans operate in the high-speed mode each has 14v from the 40a fuse. A series circuit operates differently. With two load devices wired in series, they divide the available voltage between them. In the low-speed mode the cooling fans are wired in series and each fan runs on 7 volts — one half of the system voltage of 14 volts. During low-speed fan operation the PCM low speed relay control is grounded turning on cooling fan relay #1. With a ground at relay terminal B1 (DK GRN wire), and power at C3 the relay’s control coil connects the high-amperage contacts (terminals B3 and C1). This connects power (14-volts) from the 40a fuse (RED wire) to the LT BLU wire going to the left cooling fan. The GRY wire from the left cooling fan goes to terminal C8 of relay #2. Cooling fan relay #2 is not triggered by the PCM in the low speed mode and the C8 to B9 relay connection is normally closed. The WHT wire at cooling fan relay #2 (B9) goes to the right cooling fan providing 7 volts (one half of 14 volts) to power the fan. Cooling fan relay #3 is not operated in low-speed fan operation. The BLK wire from the right fan provides the ground return for BOTH fans. Because the fans are wired in series, they divide system voltage (14 volts) equally between them and both operate on 7 volts causing them to run at low speed. 1. 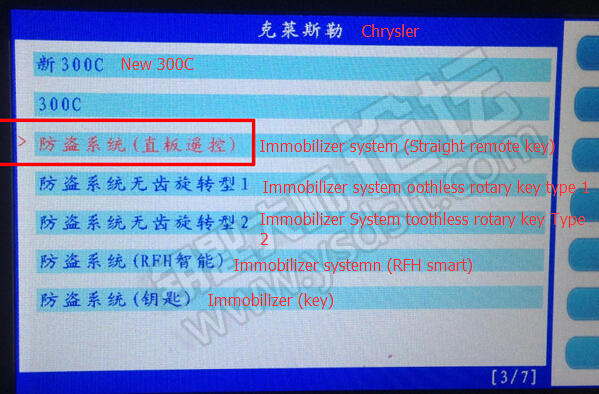 Adding the fuel injection nozzle code function of HYUNDAI, Kia and Jaguar models. smart fortwo (A/C450)/smart roadster(R/C452)/smart forfour(W454)/smart fortwo (C/A451). 6. Optimize Nissan tire pressure menu and add new models. 7. Optimize Infiniti tire pressure menu and add new models. 8. Optimize Mazda tire pressure menu and add new models. 9. Optimize Mercedes-Benz tire pressure menu and add new models. 11. Optimize GM Equinox (2005-2006) odometer reset function. 12. Optimize 2017 Mazda Angkorax key increase problem. 13. 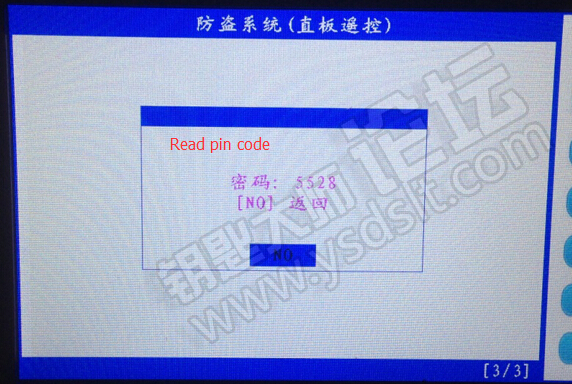 Optimize Renault pin code display. 14. Optimize 2017 Honda XRV smart key programming. 1. Increase the tire pressure detection of Buick, Cadillac, Chevrolet, Volkswagen, Land Rover, Jaguar models,ect..
BMW, MINI, TRUMPCHI, JAC, CHERY, CHANGAN, HAVAL, HAIMA, GEELY, ZOTYE, FOTON. BAOJUN, DFPV, BYD, BAIC, FAW.